Special Deal! 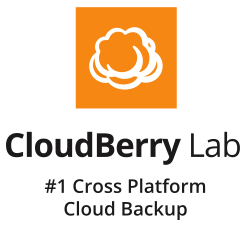 Cloudberry Backup for 50% Off! Just for our Dr. Bill.TV readers to commemorate World Backup Day… our friends at Cloudberry have a 50% discount for their excellent Backup Software! Click the link below! (Note: This offer expires on April 2nd, so hurry up to get YOUR Special Discount! Celebrate Saturday, March 31st – World Backup Day! This offer is for the Windows, MacOS, or Linux versions!